An updated edition of the international bestseller with inspirational stories and new resources to transform your life. Imagine a workplace where everyone chooses to bring energy, passion and a positive attitude to the job every day. In this engrossing parable, a fictional manager has the responsibility of turning a chronically unenthusiastic and unhelpful department into an effective team. Seattle's Pike Place Fish is a world famous market that is wildly successful thanks to its fun, bustling, joyful atmosphere and great customer service. By applying ingeniously simple lessons learned from the Pike Place, our manager discovers how to energise and transform her workplace. 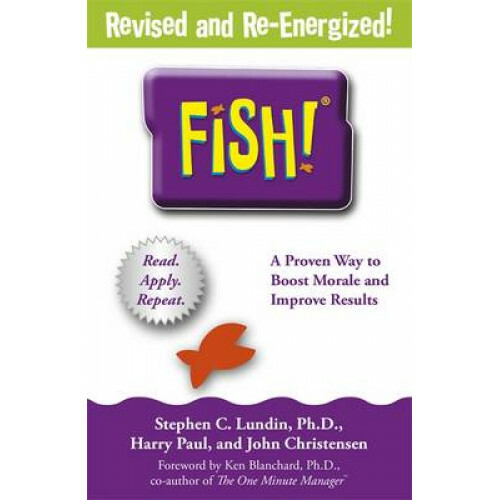 Addressing today's most pressing work issues with an engaging metaphor and an appealing message, FISH! offers wisdom that is easy to grasp, instantly applicable, and profound.